With an Introduction and Notes by R.T.Jones, Honorary Fellow of the University of York. The novel follows the life of its eponymous heroine, Moll Flanders, through its many vicissitudes, which include her early seduction, careers in crime and prostitution, conviction for theft and transportation to the plantations of Virginia, and her ultimate redemption and prosperity in the New World. 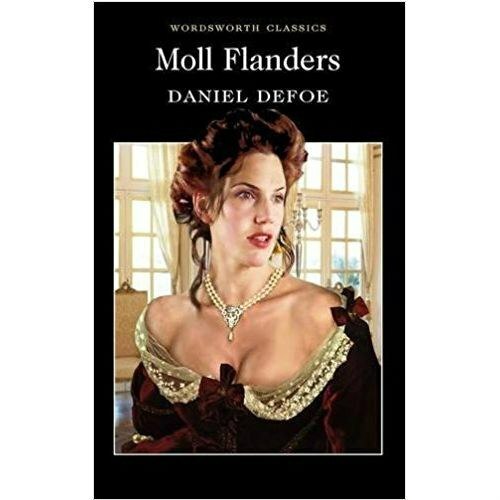 Moll Flanders was one of the first social novels to be published in English and draws heavily on Defoe's experience of the topography and social conditions prevailing in the London of the late 17th century.